68. ‘Ezra Pound: An Interview’. By Donald Hall. 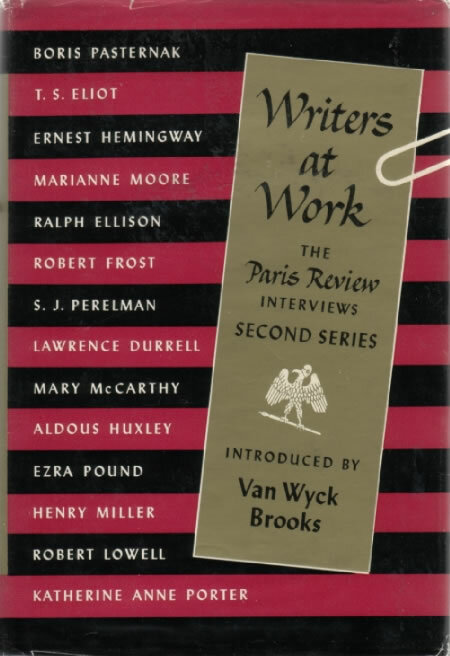 In Writers at Work: The Paris Review Interviews, edited by George Plimpton. 2nd ser. New York: Viking, 1963. At two points Pound touches on material related to this study. First he notes that his version of the Trachiniae (61) ‘came from reading the Fenollosa Noh plays for the new edition [Translations, 60], and from wanting to see what would happen to a Greek play, given that same medium and the hope of its being performed by the Minoru company’ (see 82c1); second, he discusses his acquisition of the Fenollosa manuscripts, which were ‘a windfall’, but he had to ‘struggle against . . . ignorance’: ‘One had the inside knowledge of Fenollosa’s notes and the ignorance of a five-year-old child’. His account of meeting Mary Fenollosa at Sarojini Naidu’s home in London and how he came to acquire the manuscripts varies from Mary Fenollosa’s own account as reported by Chisolm (see D10d, p. 222, n. 3): ‘she said that Fenollosa had been in opposition to all the profs and academes, and she had seen some of my stuff and said I was the only person who could finish up these notes the way Ernest would have wanted them done’.